During each of the twelve days of Christmas, the 1709 Blog is bringing readers some information concerning an author, composer, artist or creator who died in 1941 and whose works fall into the public domain in 2012 in countries which operate a "life plus seventy years" term for copyright in authors' works. 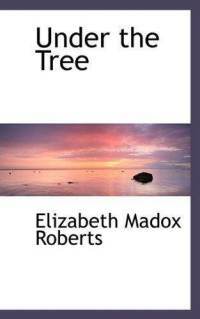 Today's feature focuses on late-developing novelist and children's poet Elizabeth Madox Roberts. Elizabeth Madox Roberts was already 40 years old when she fulfilled her life-long dream of graduating from college. While studying literature and philosophy Roberts was greatly inspired by the connections she forged at the college poetry club, and her first collection of poems (Under the Tree) was published the year after she left college. Since its publication in 1922, these children’s poems have never been out of print. Most of Roberts’ remaining years were spent in her hometown of Springfield, Kentucky, where she continued to produce highly-acclaimed poems, seven novels and a number of short stories. Roberts loved Kentucky, which she called her ‘Little Country’, and many of her works are based around the Kentucky mountain people. Roberts' first novel, The Time of Man (1926), was an international success and inspired her to write several further works, including The Great Meadow (1930), and A Buried Treasure (1936). Her poetry was known for its strong rhythmic qualities, and idiosyncratic language. As public recognition grew, Roberts received a number of major poetry prizes in the later years of her life, and her poetic style had a strong influence on the development of fellow Kentuckian poet and writer Robert Penn Warren.